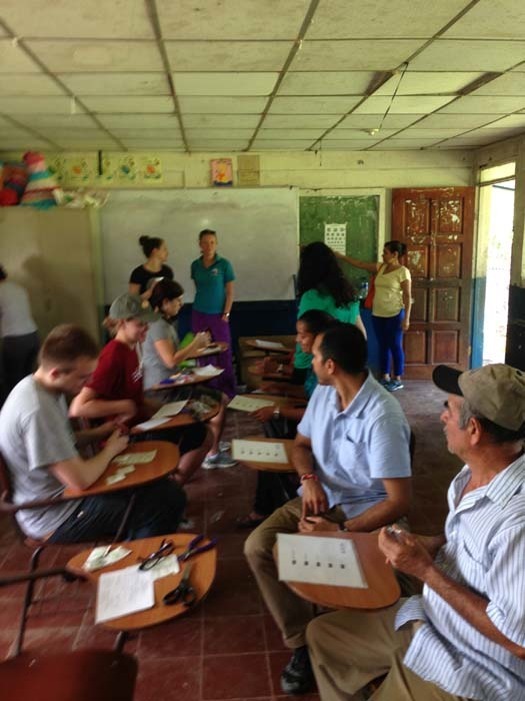 San Juan Rio Relief board member John Jones led the Santa Rosa, CA firm of Linkenheimer LLP CPAs & Advisors on an eye care mission to the village of Boca de Sabalos in early 2014. They combined a vacation, team building and serving the people of the Rio San Juan by providing eye care clinics at no charge. 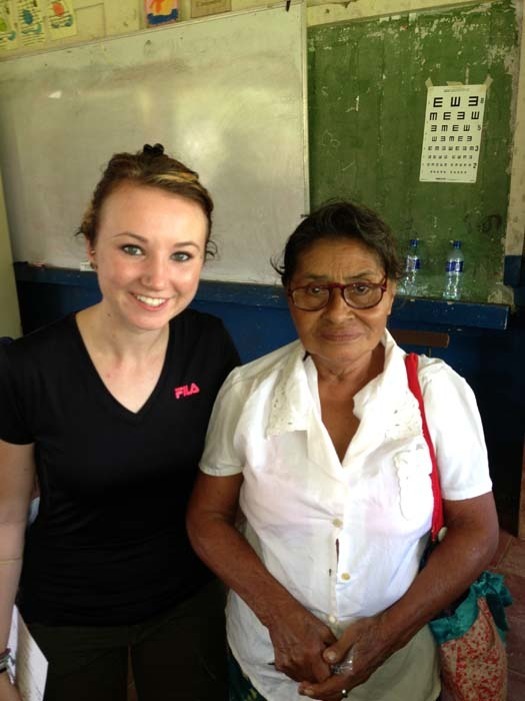 Staff and owners from Linkenheimer examined eyes, screened for cataracts and pterigiums, and dispensed eye glasses. 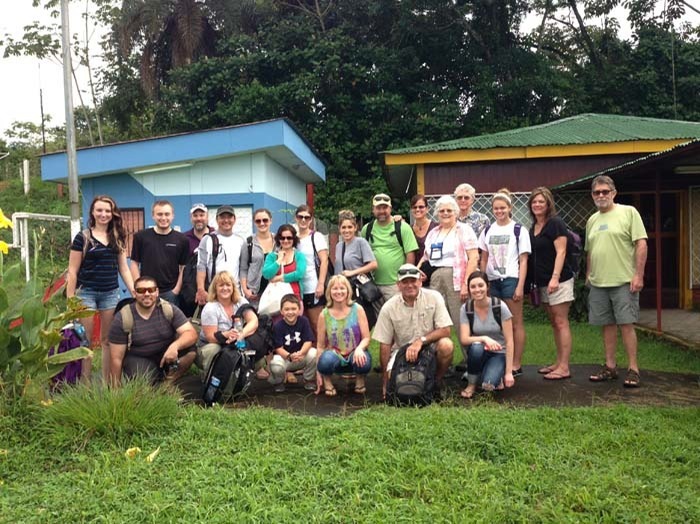 They were assisted by Rafael Choiseul-Praslin, the staff of Sabalos Lodge and Peace Corp volunteers. During the mission they examined 898 patients and distributed 765 pair of prescription eye glasses and 524 pair of sunglasses, all for free. 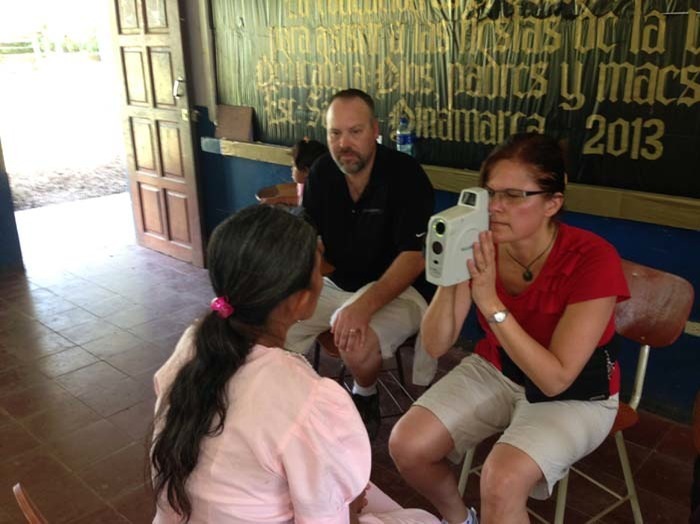 They also screened each patient for cataracts and pterigiums. Those with severe cases provided their contact information for possible future surgery at the soon to be built Sabalos Surgery Center. A total 0f 21 people from the firm (including family) did the work in Sabalos in two teams. Team 1 worked January 6 and 7 and Team 2 worked January 9 and 10. 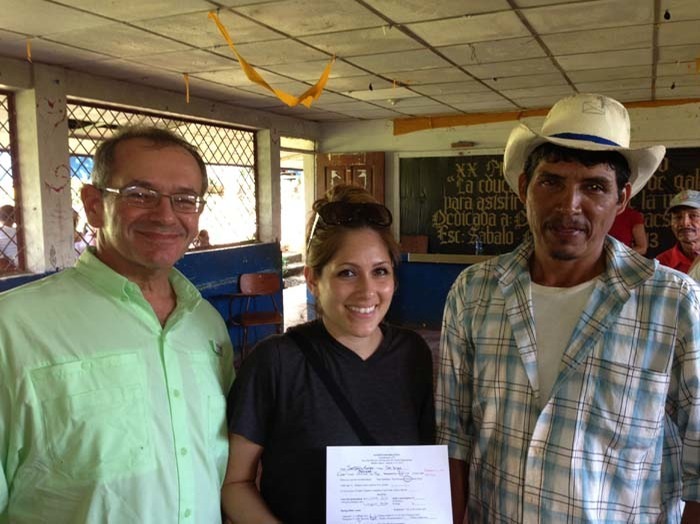 Join us in changing the lives of the people along the Rio San Juan in Nicaragua. 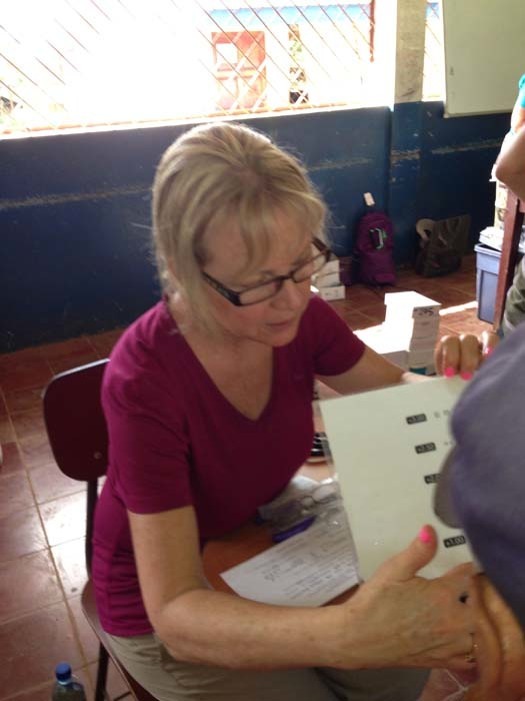 Working closely with Nicaragua's Ministry of Health, San Juan Rio Relief provides free medical services and supplies to the poor communities along the Rio San Juan. Click the donate button below or here for more info on how to help. Click any image to begin slide show (summary at right).